Following her education at the University of California at Berkeley and at Art Center College of Design, Dr. Barbara Bradley (then known as Barbara Briggs) spent the first years of her professional life as an illustrator at Charles E. Cooper Studios in New York. After returning to the San Francisco Bay Area, she freelanced, winning many national awards in illustration. She began teaching at Academy of Art University, in 1958, becoming Director of Illustration, a position she held for 25 years until her semi-retirement. For her work at the Academy, the College Career Association named her Outstanding Vocational Educator in 1992. She taught drawing workshops in London, at Pixar, and at Disney Animation Studios in Burbank and Orlando. 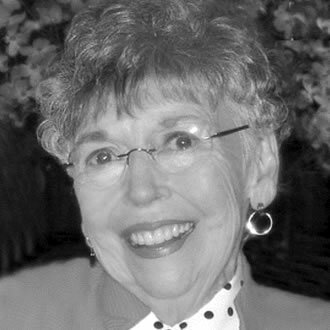 Mrs. Bradley continued, post retirement, as a consultant at Academy of Art University, where she also taught her favorite subjects – drawing expressive people, characters, and children. Her work is in several private collections, corporate offices, the Society of Illustrators Museum of American Illustration, and the Permanent Collection of the US Air Force. She is deeply missed, but her spirit lives on through the many faculty she trained and the alums she inspired.